Why wait for the official Jeep Wrangler pickup when you can have something as brutish as this? We were overjoyed to learn that after teasing us with various concept models for years on end. But while we’ve been patiently waiting, there . Taking advantage of the demand and seeing a gap in the market, aftermarket upfitter American Expedition Vehicles have been converting Wranglers into pickups. The resulting Frankenstein creation was dubbed the Brute, and it’s just as savage as it sounds. Sadly, reports that it’s going out of production this year. Apparently, AEV is intending to put an end to the Brute after this year, and won’t be taking new orders after March 31st. So if you really can’t wait for the official Jeep Wrangler to roll off the assembly line, you better snap one of these up soon. As much as we admire the AEV Brute, there is a catch – they aren’t exactly cheap. 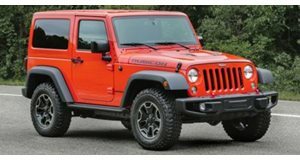 The conversion alone costs $41,665 – and that isn’t including the Wrangler Unlimited donor vehicle you’ll need to supply. They start at $28,000, so you’re looking at $70,000 for a Wrangler pickup at the very least. For that price, AEV will add a composite bed which requires the frame to be extended by 39 inches to make it fit. The suspension is lifted, and you also get 35-inch tires, a Warn winch, skid plates, and off-road lights. If you ask them nicely, they’ll even upgrade the 3.6-liter V6 with a heaving 5.7- or 6.4-liter Hemi V8. It’s not exactly a subtle optional extra, though, so be prepared to pay at least $23,000 to have one fitted. See how this can get expensive? Spending over $100,000 on a Wrangler seems hard to justify, but those that can afford it will have one of the most brutish pickups money can buy right now.